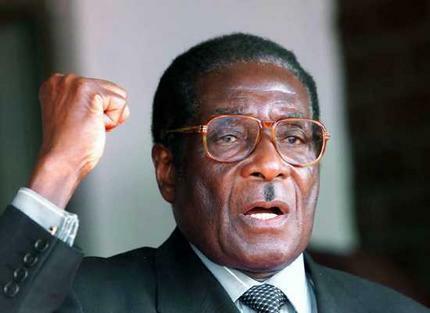 In that regard, Mugabe -- who in recent years has even sported a moustache eerily reminiscent of Adolf Hitler's -- has more in common with the racist white-minority regimes of Ian Smith in the former Rhodesia that Mugabe's Zimbabwe African National Union-Popular Front ousted from power in 1980 and of P.W. Botha in South Africa. Mugabe is as contemptuous of white people as Smith and Botha were of blacks. This blogger is not alone in branding Mugabe a racist. Other black critics of Mugabe have long accused him of having racist attitude towards white people. John Sentamu, a Ugandan-born Anglican archbishop of York in Britain, calls Mugabe "the worst kind of racist dictator," for having "targeted the whites for their apparent riches." Almost thirty years after ending white-minority rule in the former Rhodesia, Mugabe now accuses Britain of promoting white imperialism and regularly accuses opposition figures to his government of being allies of white imperialism.